Since Zwift’s early days it has been a standard to direct new Zwifters to read the unofficial manual for Zwift from James Gill aka TitaniumGeek over at titaniumgeek.com. 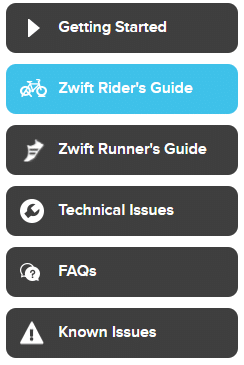 And while you should definitely still do that, Zwift now has a very good user guide on their support website. This is the what, where, and how for the official Zwift user guide. 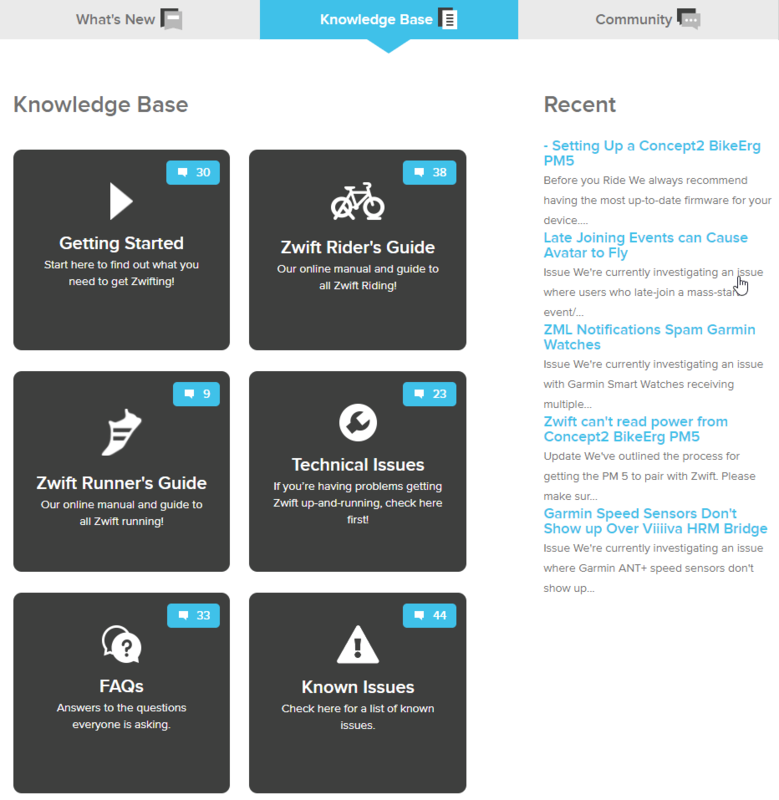 Where is simple: Go to https://support.zwift.com and open the Knowledge Base. You can just browse around for interesting bits but also read Getting Started, Zwift Rider’s Guide, and Zwift Runner’s Guide as complete user guides. Zwift Rider’s Guide is actually so long that its table of contents span multiple pages. If you are troubleshooting your Zwift setup there can be good bits of information in Technical Issues and Known Issues. 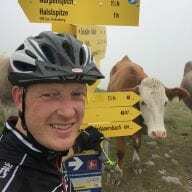 FAQs is just that – a collection of frequently asked questions about Zwift. 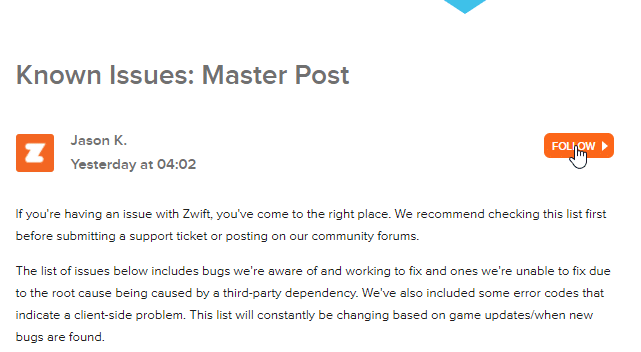 There is one page in particular I recommend all Zwifters to follow: The Known Issues section. You should definitely be aware of the Known Issues: Master Post and subscribe to changes to it. 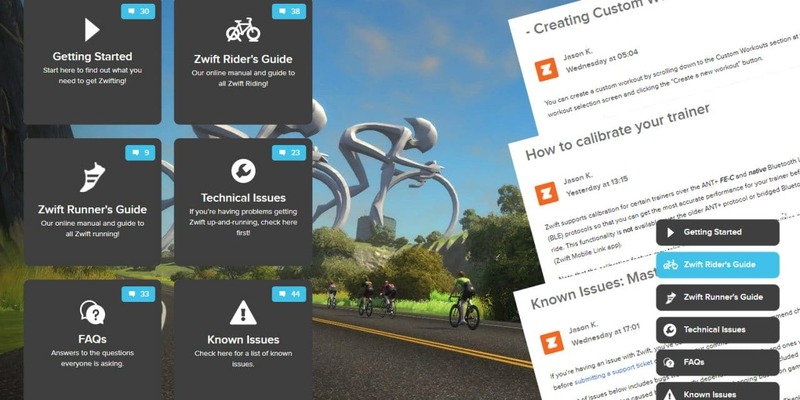 So there you have it–an introduction to Zwift’s online user manual. Enjoy! I hope Zwift acknowledged and thanked Titanium geek for having meticulously gone up to bat for all of us and Zwift, for all this time, until now….